Have you been equipped to think ahead using realistic goals and plans? Do you realise it is only you who can give yourself the approval you may be seeking? What are you doing to discover a true direction in your career? Do you expect other people to show you possibilities and opportunities which are actually staring you in the face? From 1 – 10 how would you rate your ability to solve problems, difficulties and challenges? Do you feel you need a suitable and valuable resource to help you fight the battles in your game of life? 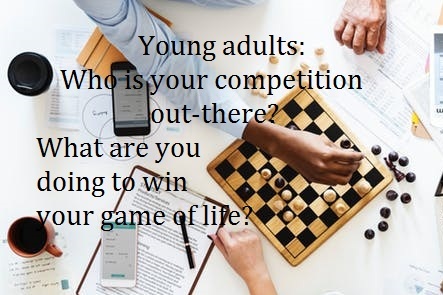 My book for young adults, “A Fresh Approach to Success” gives you numerous possibilities in identifying and analysing in which areas in your game of life you need to focus or even change for the better. There are no “quick-fix” solutions in this game. Death is the only end-point! Mediocrity or success are waiting for you and it is up to you to make the choice which one you are going to follow?